Batman: The Animated Series is not only one of the finest animated series ever produced, it is the definitive portrayal of the Dark Knight in any medium and possibly the definitive work of superhero fiction ever produced. In the late 80s, Warner Bros. teamed up with Steven Spielberg’s Amblin Entertainment to revive their animation department, which had been inactive for some time. The Amblin/Warner partnership was a fruitful one, producing many hit series such as Tiny Toon Adventures. The success of these series made Warner Bros. Animation a serious player in the world of small screen animation and eventually led to the creation, sans Spielberg, of Batman: The Animated Series. When I was a kid cartoons were usually nothing more than glorified toy ads. They were fun to watch and many of those theme tunes are still annoyingly catchy today, but many just don't stand up to adult scrutiny, both in terms of the quality of their animation and storytelling. 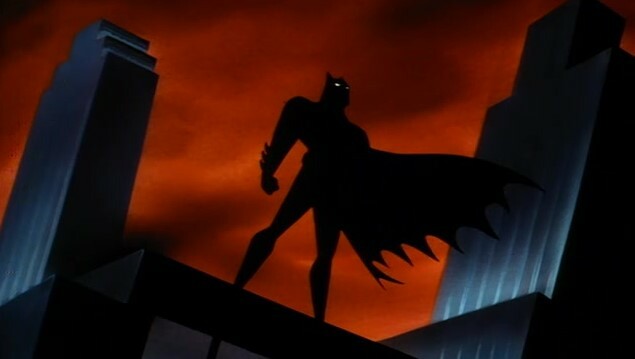 Batman: The Animated Series is one of the few exceptions.This was a show that had everything you could possibly want from a great animated series. The animation was eye-catching, the vocal performers were exceptional, and the storytelling didn't assume that just because the majority of the audience was young they were stupid. Developed by Bruce Timm and Eric Radomski, BTAS was unlike any other animated series I'd seen before. It possessed a distinctive, brooding art style which they dubbed ‘Dark Deco’. This was achieved by having all backgrounds painted with light colours on black paper instead of white. 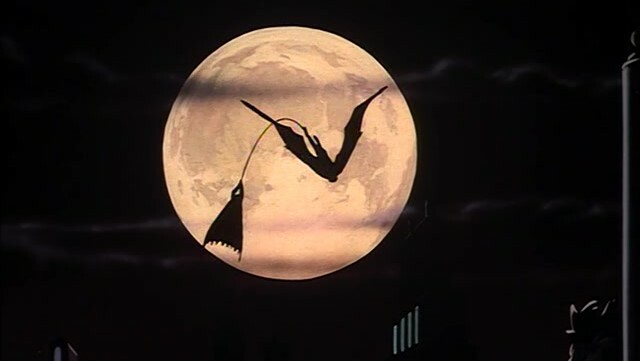 Timm and Radomski were heavily influenced by the legendary Superman cartoon shorts produced by Fleischer Studios as well as Tim Burton's Batman films. Those films took place in a world that was a mixture of the old and the new. Timm and Radomski took that idea ten steps further, creating a Gotham City that is a retro Gothic wonderland where police airships patrol the skies, computers and TV are in everyday use, and everyone still dresses like the 1940s never went out of style. While the series took a lot of inspiration from the style of the Burton films, it wisely ignored how they, and the Schumacher ones that followed them, treated the Dark Knight himself, which was to sideline him in favour of the colourful villains. 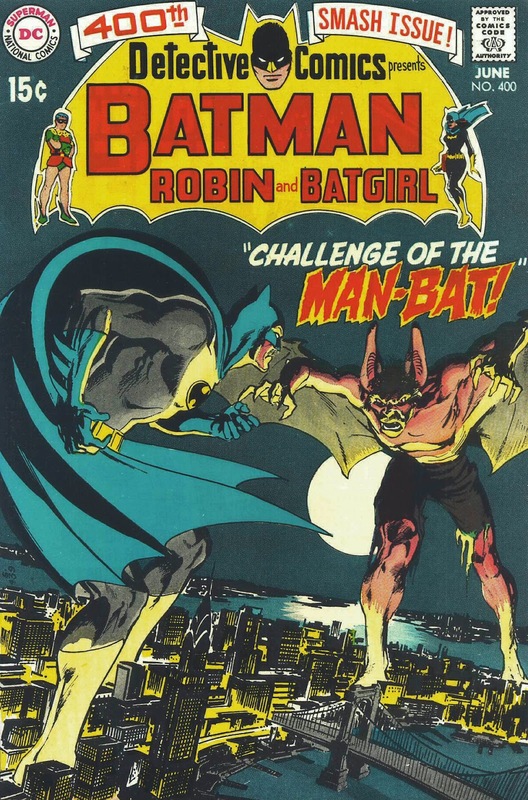 This series aimed to rectify that by placing the focus firmly on the caped crusader. It went about this not by radically reinventing the character, but distilling him down to the core essentials. Nowhere is this made more clear than in the exceptional opening sequence, which is one of the all-time greats. Told mostly in shadow and silhouette, it’s less a title sequence and more like a stylish short film that tells you everything you need to know about Batman in less than a minute. And it does all that without the word ‘BATMAN’ ever once appearing on screen. The makers of this show understood just how deeply embedded Batman is in Western culture. They knew that they didn't need to put his name at the front of every episode. The image of Batman alone sells itself. 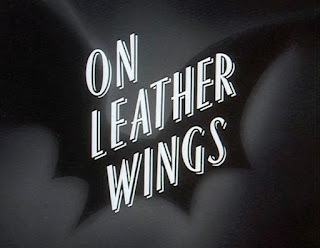 Although not one of BTAS's absolute best episodes, 'On Leather Wings' is still a strong start to the series and a great showcase of what makes this version of the Dark Knight different from the ones we've seen before. First of all, I really have to lavish praise on Kevin Conroy. He was the first Batman I could remember who managed to create two distinct voices for both Bruce Wayne and Batman without the Batman one sounding ridiculous. Keeping with the show's noir aesthetic, this Batman is more of a detective than his predecessors. In fact, take away the cape and the cowl, throw in a fedora and an annoyingly hard boiled narration, and he's your classic gumshoe. And despite being a stone faced warrior who has mastered the delicate art of appearing mostly in silhouette, this Batman is no grimdark edge lord. He actually has something resembling a sense of humour and even cracks a joke in his very first scene. It was a smart move to go with a B-lister like Man-Bat for the first episode rather than one of the heavy hitters like the Joker or the Riddler. Batman's rogue gallery is the best of the worst, the crème de la crème of villainy. He's got more iconic adversaries than most heroes have fingers. But many of them are colourful, larger than life characters who tend to dominate proceedings, which is what happened in the movies. You don't have that problem with someone like Man-Bat. He's not the type of villain who dominates, allowing the focus to remain squarely on the caped crusader. Batman: The Animated Series had one of the finest voice casts ever assembled with the creators bringing in many well known actors to voice Batman's many enemies and allies. Marc Singer, star of the original (and best) version of V, as Kirk Langstrom/Man-Bat and René Auberjonois, best known as Odo in Star Trek: Deep Space Nine, as Dr. March. 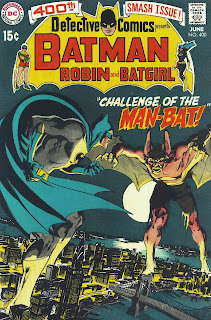 This episode, and the next two, are the only ones where Clive Revill voices Alfred instead of Efrem Zimbalist Jr.
Man-Bat/Kirk Lanstrom first appeared in Detective Comics #400 (June 1970) and was created by Frank Robbins and Neal Adams in collaboration with editor Julius Schwartz. --Although this was the first episode produced, it was actually broadcast second, after Part 1 of 'The Cat and the Claw'. For the purpose of these reviews I will be going in production order. --We're mercifully spared having to sit through another rehash of Batman's origin. --One of the things I love most about this series are those stylish title cards. Part of the reason I'm no fan of the later revamp is because it got rid of them. --Harvey Dent gets a little cameo, flipping his coin. --The title sequence is a modified version of 'The Dark Knight's First Night,' a two-minute promo reel that Timm and Radomski created to show the network. --There are shades of Frank Miller and David Mazzucchelli’s Batman: Year One during the scene where the SWAT team chases after Batman. --The creators fought hard against the censors to show the kind of things that were normally taboo in children's animation such as the use of real guns instead of lasers and characters actually bleeding. Batman: "Hey, what's up doc?" Batman: "Somebody's setting me up." Alfred: "My heavens! You mean it wasn't you tossing guards out of windows last night?" Batman: "I only toss butlers, Alfred." Langstrom: "He's a little protective of all this. I think he likes bats better than people." Bruce Wayne: "I can't imagine." Three out of four hard boiled narrations. Oh my goodness! I can't believe you're really reviewing this series! 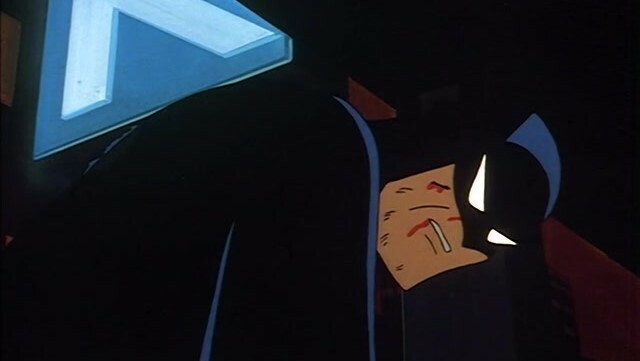 I love BTAS, and I will be very interested in hearing your thoughts on the episodes. I think this was the first episode of this show I ever watched, and I was amazed. It was nice to see Rene Auberjonois doing some good work, and the series worked its magic on me immediately. Kevin Conroy is incredible, as is the entire voice cast. The animation is remarkable, especially for its time, and the opening sequence is a work of genius. This isn't even close to the series' best, but average for BTAS is better than most. This is the definitive Batman portrayal. The best Batman and the best Joker (yes, I said it. He outshines Ledger as far as the character goes) are definitely worth a lot. Wow, what a coincidence, I was just recommending this show to someone who never saw it earlier today. I'm absolutely thrilled that you're reviewing this iconic series. I'll very much look forward to further reviews in the future, can't wait to hear your thoughts on Mark Hamil's Joker. I love this series, I was just a bit too old for that generation of cartoons (although I still watched Tiny Toons, Animaniacs and Power Rangers), but this series was probably my favorite of all time. It wasn't just the remarkably atmospheric animation, the incredible voice acting, writing, and editing, it was the music too. Thank you for writing about this series Mark, I look forward to your future reviews. Oh, this isn't a plug for the DC Steaming service, but they do have the series in HD, and it looks amazing. What a brilliant idea to review this show! I grew up watching it and I think it really influenced my viewing behavior later on as an adult. This is without a doubt one of my favorite shows of all time and I'm very excited to read your future reviews! I haven't commented on this yet so I just wanted to chime in and say that I LOVE that you're reviewing this show. I loved it as a child (although, strictly speaking, I wasn't allowed to watch it...) and I love it as an adult. It was the show that introduced me to superheroes (along with Darkwing Duck) and the show that brought Harley Quinn into the world. I actually subscribed to DC Universe just so I could continue to watch it (they took it off of Amazon Prime). Also, if anyone didn't know, Honest Trailers did a great job tackling this one a couple weeks ago.